Enter into My Sacred Heart! Through a true Act of Love of your hearts, giving Me your ‘YES’; giving Me your life; giving Me your will; giving Me your freedom; giving Me at last your whole person, all your being, so that I may govern your life, govern your being, govern your heart, govern your actions and may with the Power of My Grace lead you along the Road of Holiness that will bring you to Me. Enter into My Sacred Heart! Through an Act of Trust and total giving to Me, giving Me perfect and complete freedom to act in you, to take out from your life what I want, to put what I want and to lead you by which Road I want to. Although it is a Road that you do not understand: the Road of Suffering or else the Road of Trials. Let yourselves be led by Me docilely, confidently, so that I may truly accomplish in you My Plan of Love and transform your souls into the precious, shining Stones of My Sacred Heart that will reflect to the whole world the Glory of My Heart and the Glory of My Father. Enter into My Sacred Heart! By an Act of total abandonment, that is: Confident giving in My Hands. Without wanting to know where I am taking you, where I am leading you, and where, where the road I will take you will end. In this way you will truly be the perfect disciples who allow themselves to be guided by the Master, the docile sheep that allow themselves to be led by their Shepherd; the pure and obedient little children who allow themselves to be led by the Father through the Paths He knows and cognizes are the best and the right ones. In this way, truly My Sacred Heart will have full power and freedom to be able to act in you, to realize within you the Plan of Love that I delineated for each one of you at the moment when I sent you to this World. When a person is born, when a soul is created by Me and is infused into his/her body in the womb of the mother, it already comes with the Plan that I delineated for he/she. The soul is free: it can accept My Plan as it can reject it. If it (the soul) rejects My Plan, I will abandon it and I will try to accomplish the Plans that I delineated for other souls. If the soul accepts the Plan that I delineated for it, My Will will be fulfilled in it for the rest of its life. And I will lead it (the soul) through the Ways, through the Paths of the Holiness and of the Love of My Sacred Heart. Whatever happens in its life (the life of the person), will be Work of Mine and even the sufferings that I allow to it, they will all, in the end, contribute for its good and will help it to be more saint, to purify itself and to come even closer to Me. When the soul that is obedient, that accepts My Plan dies, then My Plan is completed in it and the soul goes to Heaven, to there, to receive the Reward of its fidelity and of its docility to My Sacred Heart. Yes. Everything is already written, My Love Plan is written for each one of you. You only have to accept it, accept the Salvation and the Love that I offer and fulfill My Will. When the Plan that I made for each one of you is finished in you, then I will call you to Me, death will come. No one will live one more day than what it is already written in the Plan of Love that I made for you. And then the soul will come to Me. Fulfilled its mission on Earth, it will come, to continue it (its mission) Here in Heaven. To continue that which began on Earth, Here in Heaven, praising Me, loving Me, blessing Me, Me; praising, blessing and adoring My Most Holy Father, the Eternal Father; My Holy Spirit and interceding for those who remained on Earth, reaching for them the Graces of Mercy from My Sacred Heart. Therefore, My children: accept My Plan of Love that is so damaged in your lives and has not been fulfilled as I want, because you resist My Will. Give Me your ‘YES’ and then I and My Mother will come and will perform wonders in your lives. I will have you know that anyone who accepts My Plan of Love and obeys Me, even if he/she does not understand certain things that happen to him/her, he/she may have the Peace of the heart that everything that happens to him/her was already foreseen by Me, and in the opportune moment everything will be reversed to the good of the soul itself and to bring it even more closer to Me. May the Peace, therefore, be done in your hearts. 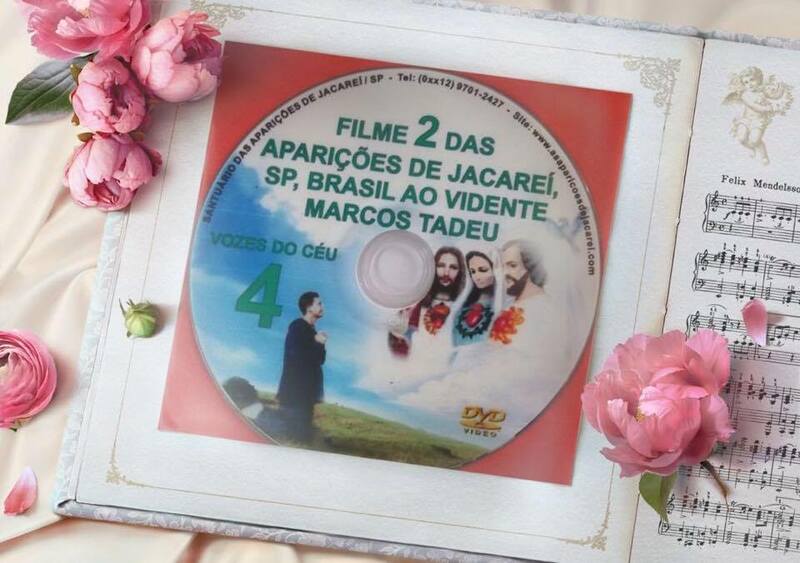 I love you and I say: Accept My Plan of Love, because of the personal Plan that I have to accomplish in each one of you also depends the Plan that I delineated for Brazil and for each Nation of the Earth. Only when My Plan of Love, My Will, be fulfilled in each one will it also will be fulfilled collectively in your country and also in the World. Therefore: PRAY for souls to accept My Love, accept My Plan of Love and My Will be done in them! 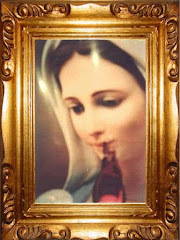 Live the Perfect Consecration to My Mother, letting yourselves be carried in Her Arms and be dependent on Her as I was. What My little son Marcos told you is true and very accurate: I let Myself be carried in the Arms of My Mother to Egypt, to Nazareth, to everywhere and I did nothing without Her. I could have gone alone, but I wanted to be carried and taken in the Arms of My Mother. That is why I escaped the death that Herod had? prepared for Me; that is why, the Plan of Salvation and Redemption took place. If you also be docile to My Mother, if you allow yourself to be carried in Her Arms, to form by Her, to be leaded by Her along the Paths which She cognizes and knows that lead to Heaven, that lead to Me, you will be the happiest, because everything that happening in your life will always be Her perfect and most special work. Therefore, come to Me, but with My Mother. Come to the Father, but with My Mother. 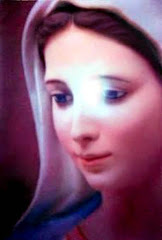 For it is the only way to truly do My Will, to do the Will of the Father, and truly give to God, to God the Father, to My Father, the same Honor and Glory that I gave to Him, being submissive for Love to Mary 30 years in Nazareth, as My little son Marcos says very well: I WAS THE FIRST TOTUS TUUS MARIA: ALL YOURS MARY. Be My true disciples; imitate Me. Be also TOTUS TUUS MARIA: ALL OF YOU, O MARY. And so, imitating My Loving Submission to My Mother, imitating My Loving Obedience to My Mother, you will also give the Father the greatest Glory as I gave. Even greater than if you had made the greatest Miracles and Prodigies for all Humanity. Therefore, little children, come to Me, but through Mary. Those who want to come to Me without My Mother: run, but run outside the Road. 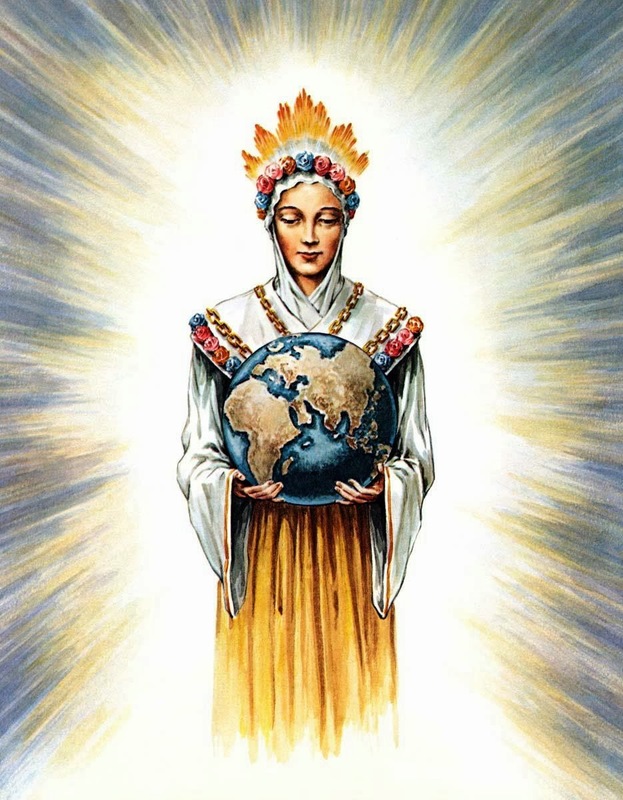 Come to Me through My Mother and you will truly reach the summit of Holiness and the Love that I want for you. To all I bless with Love and especially to you: My dearest son Carlos Tadeu. At this moment, I bless and touch with My Sacrosanct Hands this Image of My Sacred Heart, which will be Source of Grace, Source of Blessings of My Heart for all those who pray with Love and Trust before Her. This Sign of the Cross that I have made on this My Image makes it Holy, makes it Miraculous and all those who pray before it with Trust will receive great Graces. 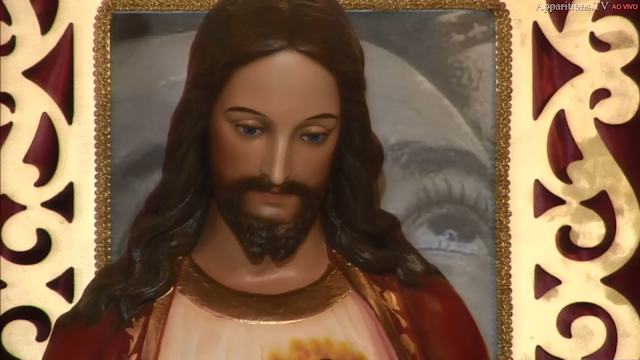 Those who consecrate themselves to My Sacred Heart before it, upon these I will shed My Most Precious Blood, I will introduce them into the deepest Wound of My Divine Heart. And these souls will truly be My Doves, My chosen souls. And they will not be struck by the Rays of My Father's Wrath. Rather, they will be filled by Me with all the Graces of My Divine Heart. Those who before it open their hearts to Me, truly they will receive all the Lights and Graces necessary for their Salvation. I promise to pour the Peace, wherever this My Image is. I, bless you, bless all My children Here present. I bless the whole World for Love to you, My chosen, My beloved children. Throne of the Queen and Messenger of Peace in the Sanctuary of the Apparitions of Jacareí, Brazil. (Mary Most Holy): “Dear children, pray My Rosary every day! Hell never knew a true devotee of My Rosary. Never has a devotee of My Rosary been seen in the Fire of Purgatory. Pray the Rosary and I promise to free you. To free Brazil, to free the whole world, not only from the yoke of the threat of Communism, but also from every satanic yoke of Satan. If you pray the Rosary, truly, God will bless the Brazilian Nation and it will become the birthplace of a Holiness, of a Love to God, of a Peace and also of a wealth both spiritual and material, inconceivable. 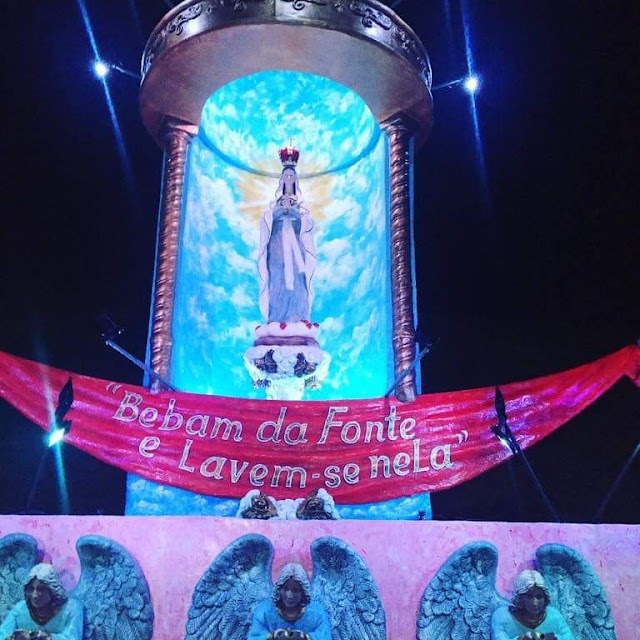 If you pray the Rosary and obey My Messages, God will soon send the Angel of the Peace, give the Peace to Brazil and the Angel of the Chastisement will move away, especially the Angel of the Third Vial of the Scourges. If you pray the Rosary and obey My Messages, soon God will truly show through Brazil, His merciful and loving Face, His Grace and His Love to all men. And finally My Immaculate Heart will triumph by bringing My Kingdom of Love to Earth. I bless you all with Love, and especially to you: My dearest son Carlos Tadeu ... 829 thousand thorns came out of My Immaculate Heart, in these days when you are here. You took those thorns out with your Prayers. The Cenacles were long, prolonged, but the more hours you spend Here praying, more thorns come out of My Immaculate Heart. Oh! If My children knew how much the hours spent in prayer Here, in these Cenacles they are pleasing to the Most Holy Trinity. Yes. If My children knew that every hour spent in My Cenacles is worth more than a year of strict prayers and fasts, penances, and disciplines out of here. Oh! If My children knew that every hour they spend here in these Cenacles praying with the Just one (Marcos Tadeu), each hour is worth more than five years of the fast of the most austere Carthusian. Oh! If they knew how much glory they give to the Most Holy Trinity. If they only knew how much Light is given off from this Place and ascends to Heaven. Oh! If they knew how many Graces descend upon their souls while they are here in the Cenacle with the Just one. Oh! If they knew how many thorns, how many swords of Sorrow they take out of My Immaculate Heart. Therefore, My children: Come! Come and pray! Pray! Pray! Pray! Pray! The hour that now weighs on Brazil and on the World is decisive! Diabolical slavery to Satan or Freedom; Salvation or general Perdition of children, young people and families; Triumph of the Holy Catholic Faith or triumph of the ideologies and of the apostasy of Hell; Salvation or Perdition; Heaven or Hell of all. You can not only be concentrate on your personal lives, you must widen your heart and look at the size of responsibility, and also the gravity of this decisive hour that weighs on this Nation and the World, and that is why you must PRAY! PRAY! PRAY WITHOUT CEASING! May each family have My Image of Aparecida and on the 12th of each month make the Cenacles of Prayer before it for Brazil. 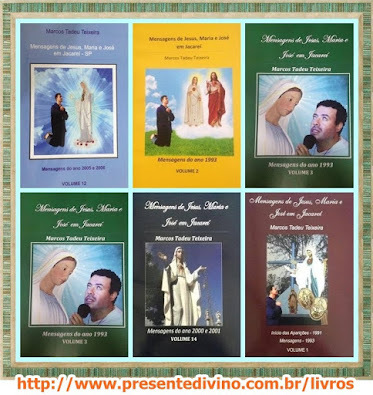 (Mary Most Holy after touching the Sacramentals): “As I said, wherever one of these Chaplets, Images, Pictures, all that you have brought, come, there I will be alive with My Son Jesus pouring out the great Graces of the Lord.